THIS YEAR IN MAY IN JERUSALEM!!! Israel is our current destination. Will you join our tour? There are a number of people ready to host house concerts too. A lot goes into bringing people together especially when they live in different countries. Our Africa-USA project was an enormous success. How did we do it? How does it work? Take a moment to click & watch video clip. Visit our AFRICA – USA photo gallery. The Healing Light Project brings people together to learn about, share and CELEBRATE our differences. We’ll learn a song, a dance; we’ll share our traditions, culture, language and a traditional meal. We will grow friendships all around the world. We’ll laugh and cry and revel in the joy of knowing that together we are creating and living together in one amazing world. We are musicians and entire families who live in different countries around the world. We are different culturally, traditionally, by the language we speak, and in the way we live our lives. These differences make us unique. These differences attract us! 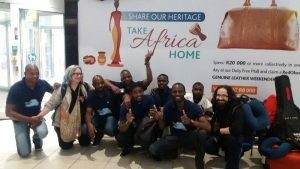 In March 2017 founding members Rahel and Mr. Future Moyo and the members of the Amavevane Acapella group met for the first time in Africa to launch the Projects’ first tour. 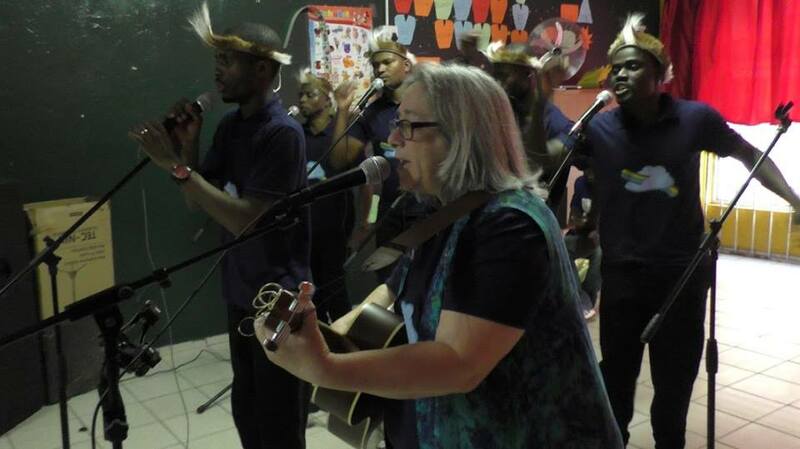 A series of concerts, educational workshops, radio interviews, and a date in a recording studio took place in communities in and around Johannesburg. Local talent was featured at concerts too! Watch THE HEALING LIGHT PROJECT sing about PEACE! Will you help build musical bridges to bring people together in celebration? Make new friends. Join us to heal, fix and repair ourselves to improve G-d’s world and experience the joy of being human! "Bring healing with your light." "Thanks and congratulations to Rahel and everyone on all the great things you're doing together!" "Best of luck, we can't wait to learn from you!" "Ann -- I wish you the best of luck in raising your funds and look forward to hearing about the trip when you get back." 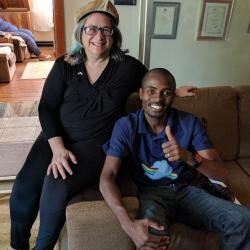 "For " The Healing Light Project"/ Journey From Johannesburg with Toby Tobias"
Shalom u'vracha! We are Rahel, American-Israeli dual citizen, singer-songwriter, educator and Certified Clinical Musican (CCM) and Future Moyo, director of Amavevane Acapella, a traditional vocal and dance group from Zimbabwe and South Africa. Rahel, USA born & raised, now lives in Israel where she successfully founded and co-founded music projects and organizations including: 'Listen Like Learn Music" (Barbara Cass-Beggs music program for babies & young children), "Tof Miriam" (promoting women artists in Israel), "Ann's House" (pre-school & center for workshops in Jerusalem), "Tofa'ah" (music by women for women), "Jerusalem Folk" (country, folk & Bluegrass Band), "Songfolk", "Songcircus" and "Kit & Caboodle" (musical theater for children), Mugalive (music & yoga for kids) and more! Future Moyo is originally from Zimbabwe and lives in Johannesburg. He is a singer, composer and director of Amavevane Acapella, a vocal group featuring African culture and traditions. "THE HEALING LIGHT PROJECT" (HLP). The HLP was born of a simple request from Future. He recognized in Rahel a little light that his heart wanted to connect to. His interest re-ignited a project that Rahel had long been trying to get off the ground: “Tikkun: Songs of the Heart, Prayers of the Soul”- a collection of her original songs drawn on the Psalms. Mr. Moyo and Rahel realized that they share common concerns and goals and decided to collaborate. 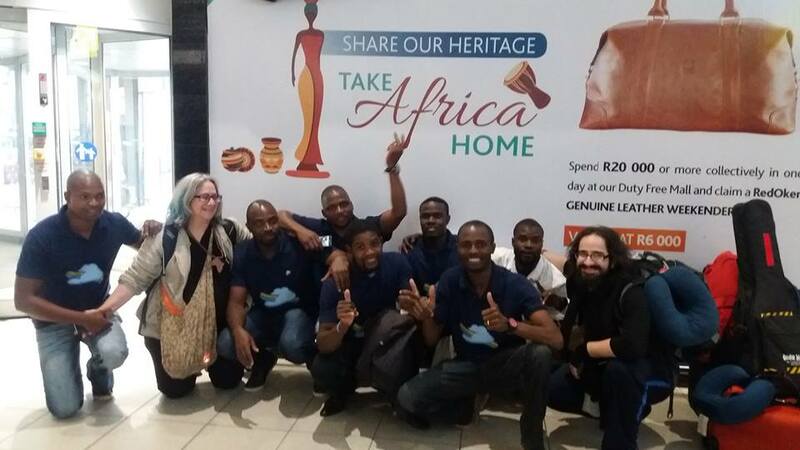 They are very excited that our debut USA-AFRICA HLP launch was a huge success. A little spark was ignited and is growing a little light (אור קטן) is reaching to become a big huge light (אור איתן) - a light unto the world! 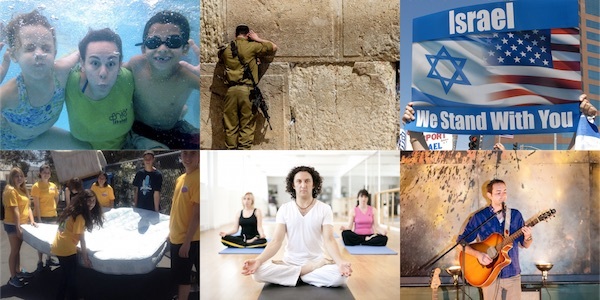 This is their "Tikkun/תקון" - we start by fixing and healing ourselves. We become lasting friends and in this way we can create an amazing world! You have planted a seed to help improve our world by building musical bridges. Every seed counts! We are grateful to you for helping to birth this project so we're adding you to our team email list where you'll see exclusive updates, photos, and more! This is exciting. You are breathing life into the project. We'll give you a personal shout out on our website and add you to our team emails to receive updates, photos, etc. You are a shining star helping the project come alive! We are singing your praises. Your name will be included on our website and we'll send you a FREE mp3 of our music. For energizing the project we will send you our CD. It's acts of Lovingkindness like this that help unite worlds. We will send you mp3 digital recordings from the musical members of your choice. For joining us in celebrating differences we will thank you personally and send you an mp3 of an original collaborative song especially produced for this tour! Your contribution is very valuable to us. We want to thank you PERSONALLY by creating a THANK YOU VIDEO for JUST YOU. We'll send you mp3's and you will be listed in the "Special Thanks" portion of our CREDITS for eternity.